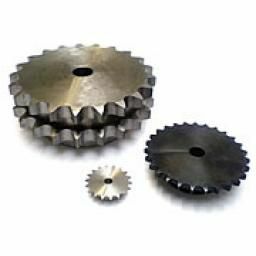 Pilot bore sprockets have a central pilot hole allowing the customer to machine the centre to their own specification. Also available in plate wheel type; and in simplex, duplex and triplex. Over triplex available on special order.